Steampunk designs bring the world of yesteryear to today, creating ornate designs that look cool as costumes or for everyday use. These retro styles, based on the Victorian era (late 19th century), can be complemented by bowler caps and waxed mustaches in order to create an aesthetic that will be the center of attention. How can welders create awesome DIY steampunk accessories and designs? Check out the following welding designs inspired by steampunk. As the central element of the iconic steampunk look, goggles make anyone look like they’re about to take their biplane or steam dirigible out. A good pair of welded goggles can be the centerpiece for a retro costume or outfit. It’s necessary to weld together the frame from different types of metals: copper looks worn and gritty, while steel looks sleek and sophisticated. To create this essential steampunk accessory, weld gears and switches onto the metal frame but make sure the frame can still support the lenses. A ring designed inspired by steampunk can never have too many gears or switches, and anyone with basic welder training will be able to make one. Although making steampunk jewelry may not require welding, but a ring from filigree steel, in a spiral design with switchbacks and angular curves or in a simple loop, requires welding the filigree elements together and then creating a perfect circle. You’ll have to sacrifice a watch in order to get the gears needed to make it look appropriately industrial, welding or gluing the clock hands and gears onto the filigree loop. Imagine pulling out an old-fashioned pen to sign your name like you were a character from a Sir Arthur Conan Doyle novel. Steampunk pens are some of the easiest designs to make, as it’s little more than taking an existing metal pen and welding an exterior of gears and filaments to make it appear sufficiently retro. Those who want to make their own pen from scratch, however, can weld a pen head to an ink reservoir, then attach an exterior and fill it up with ink. Few accessories are more popular in the steampunk community than the classic 19th-century-style bike. Yet, it’s not enough to simply weld gears onto a frame and it’s finished. Instead, welders can go above and beyond and completely change the look by adding chrome or copper layers around the frame. You may also want to add some classic Victorian devices like squeeze horns and a pedal-powered electricity generator to make it look like you’re pedaling in from that era. Can a computer look Victorian? Not every steampunk redesign needs welding, but skilled welders can remove the keys from a keyboard and attach typewriter keys to make it look like this invention of yesteryear merged with today’s technology. Weld a decorative frame of styled brass or steel around the monitor of a computer to complete the look of a computer straight out of a time machine. If you’re interested in 19th-century culture and technology, then these steampunk accessories make attention-grabbing DIY welding projects whether you’re a welding novice or expert. 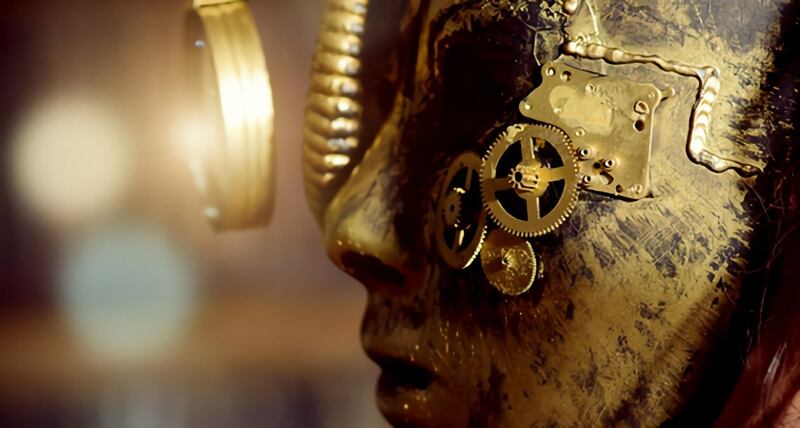 With a pair of intricately decorated goggles or an elaborately assembled Victorian bicycle, you’ll stand out at the next steampunk fair.